Houston Newspapers – is this houston? Does Houston really need another free publication. Have you read any of these lately? I read Employment Guide whenever I need to find a job. Well thanks to a new city ordinance that took effect January 1st, there are going to be fewer free pubs. And they are to be a certain color, heighr, and weight requirement. 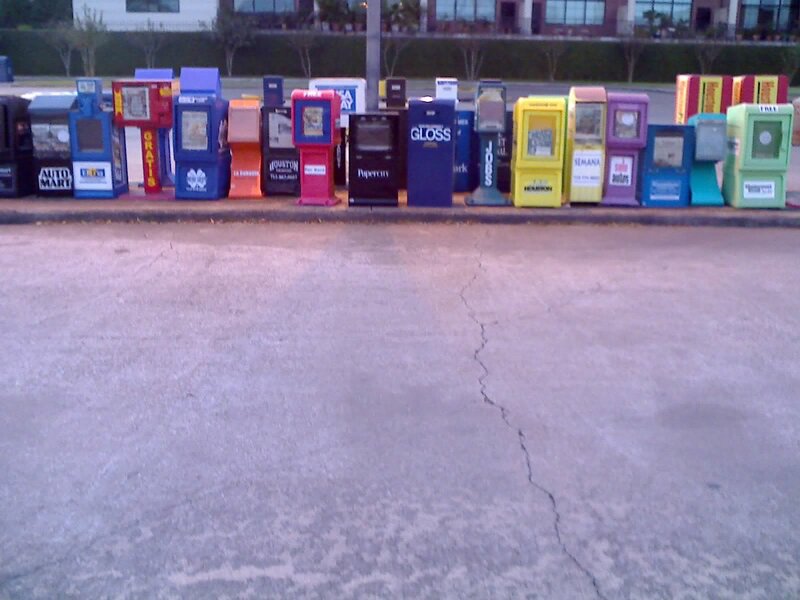 Houston Press led the pack in coforming to the ordinance, by the way! It should be city wide by the end of the year. Currently it only applies to downtown. How many of those are stocked?